"This great Nation will endure as it has endured, will revive and will prosper. So, first of all, let me assert my firm belief that the only thing we have to fear is fear itself." FDR in his first Inaugural Address at the height of the Great Depression. Franklin Delano Roosevelt (January 30, 1882 - April 12, 1945), 32nd President of the United States (1933-1945), the longest-serving holder of the office and the only man to be elected President more than twice, was one of the central figures of 20th century history. Born to wealth and privilege, he overcame a crippling illness to place himself at the head of the forces of reform. 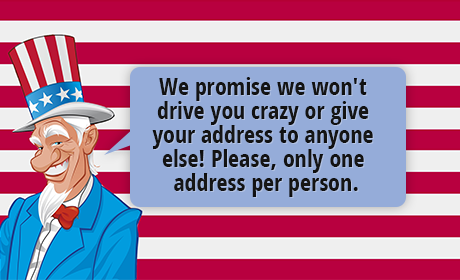 To the public he was usually known as FDR. He was one of the most popular presidents in American history, leading the nation as it emerged from the Great Depression and through World War II. Painted posthumously by Frank O. Salisbury in 1947, this official portrait shows the President Roosevelt in profile, seated at his desk. 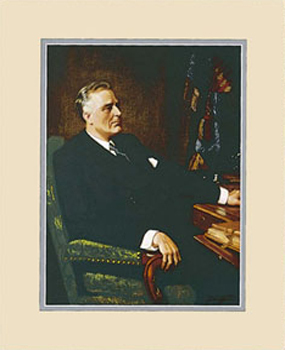 Franklin Delano Roosevelt framed art print is approximately 16 in. x 18 in.